Khatyn - this Belarusian village you won't find even on the most detailed map. In 1943 it has been wiped out by a flame, together with inhabitants. Khatyn became a symbol of the tragedy of the Belarusian people, the page of grief in the history of the Great Patriotic War, already sad. 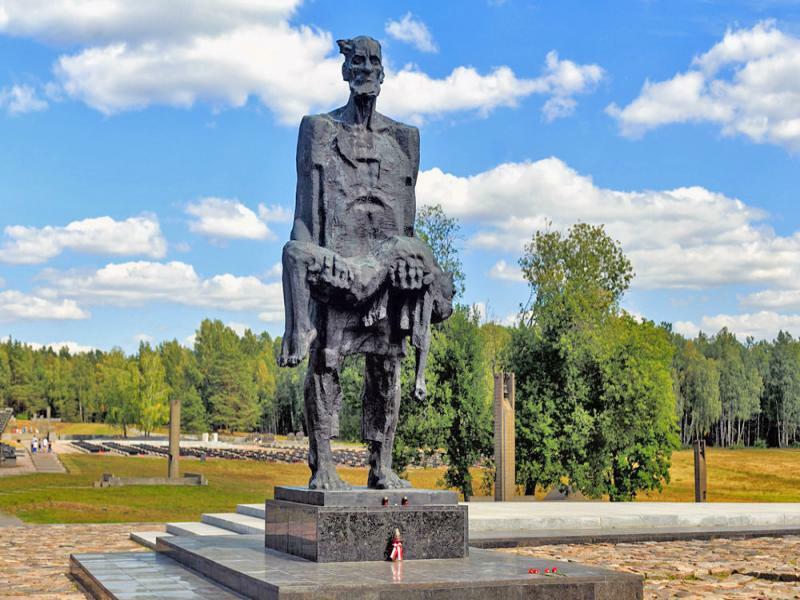 State Memorial Complex "Khatyn" is a monument in honor of memory of hundreds of Belarusian villages destroyed by the Nazis during the Great Patriotic War and the huge contribution of the Belarusian people, which brought innumerable sacrifices in the name of victory. On the territory of the complex there is also the only "Cemetery of villages" in the world - 185 graves, each symbolizes one of the unrevived Belarusian villages which were burnt with there population. 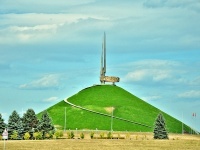 The Mound of Glory is a 70 m high mound. Twenty years later, after the liberation of Belarus, the land was brought here from all countries that fully experienced the grief and tragedy of the war years - they created the man-made hill. And now in the depths of his moaning grief land, brought from 12 cities-heroes and 1 hero-fortress. Nearby is the exposition of military equipment. 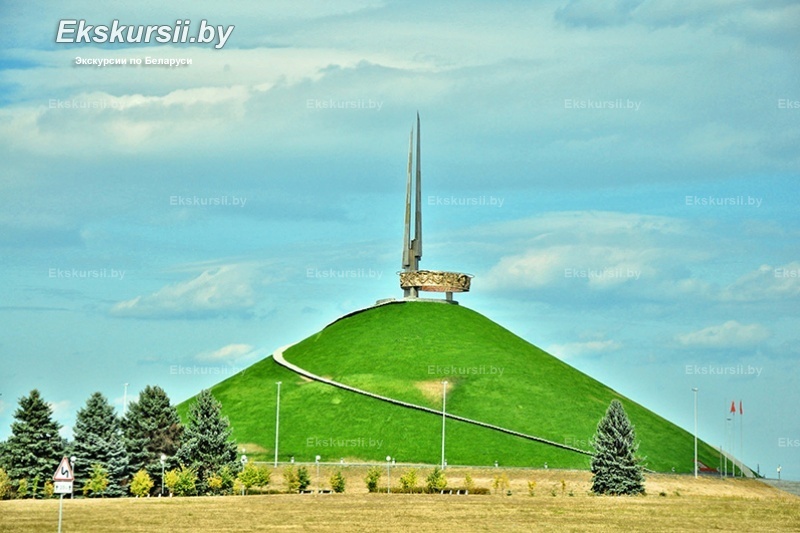 Above the hill are four closed 35-meter bayonets-obelisks, symbolizing the combat brotherhood of the Four Front: the first, second and third Belorussian and the first Baltic, liberated the "Land under white wings." 11-November-2018 Отдельное спасибо экскурсоводу Оксане, очень достойно провела экскурсию, помогла прожить нелегкие моменты. 11-November-2018 Нам безумно понравился наш экскурсовод! 14-October-2018 Экскурсовод очень понравился. Рассказывал с интересом, вовлеченно. Видно что ему это было в радость! Побольше бы таких!